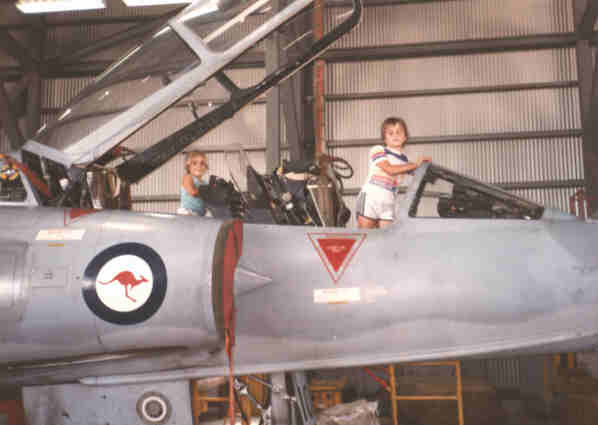 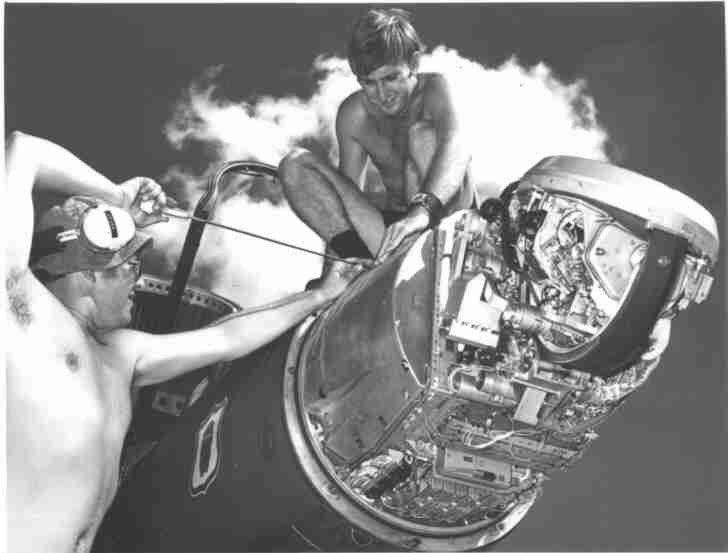 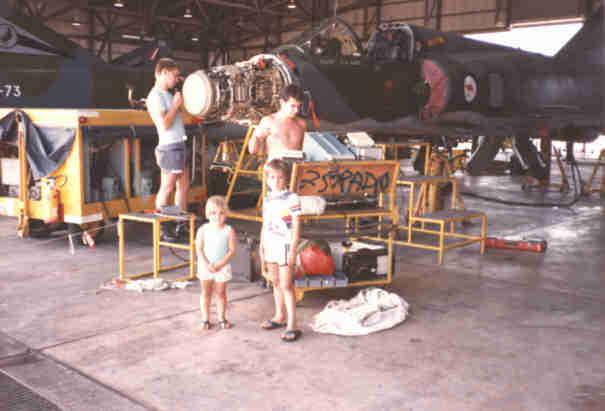 Leading Aircraftsmen Radio Technicians Ray Farley (standing) and Peter Roberts working on a 77Sqn Mirage radar during exercise 'Blue Denim' in Darwin 1973. 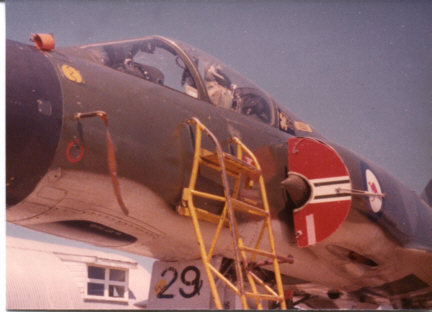 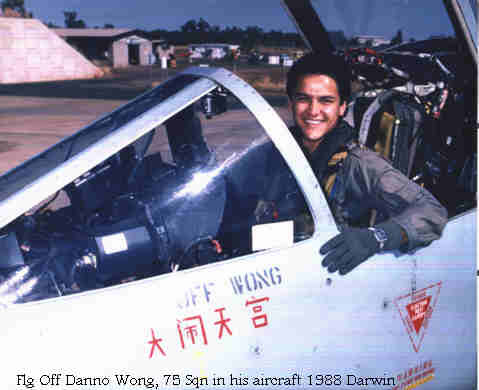 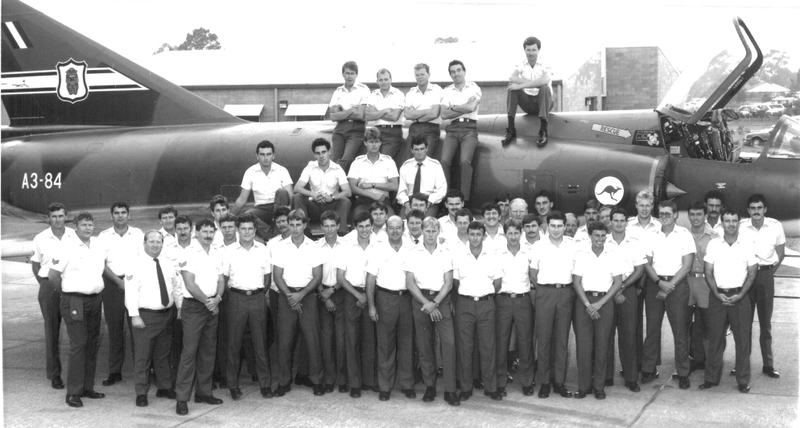 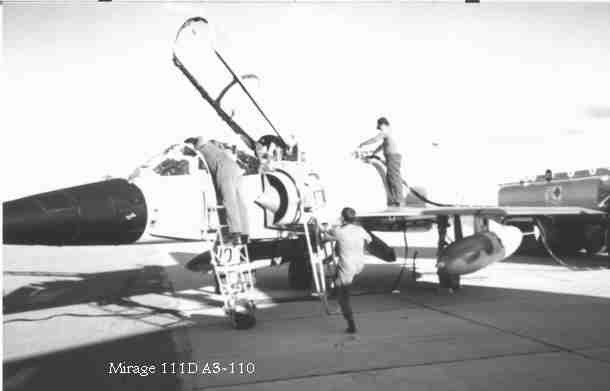 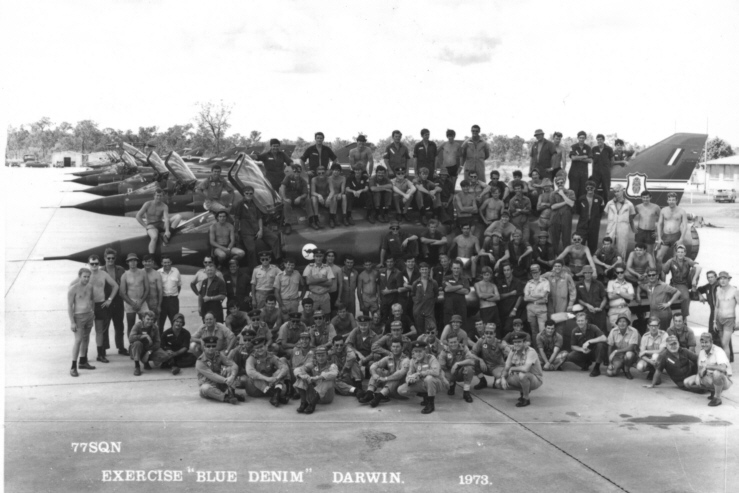 77Sqn Detachment for Excercise 'Blue Denim' in Darwin, 1973. 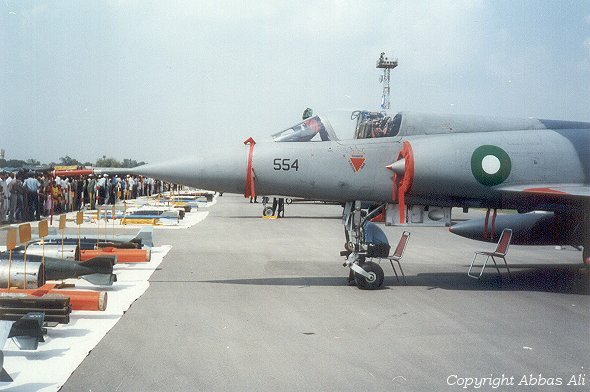 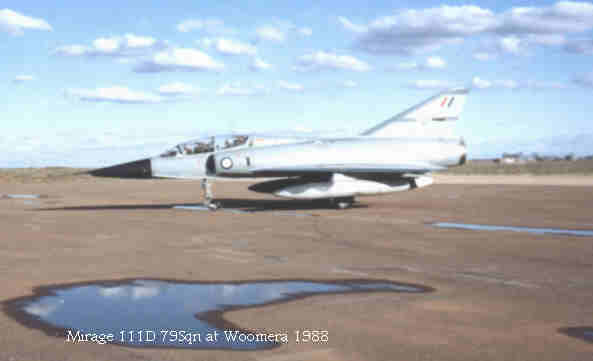 CO's aircraft. 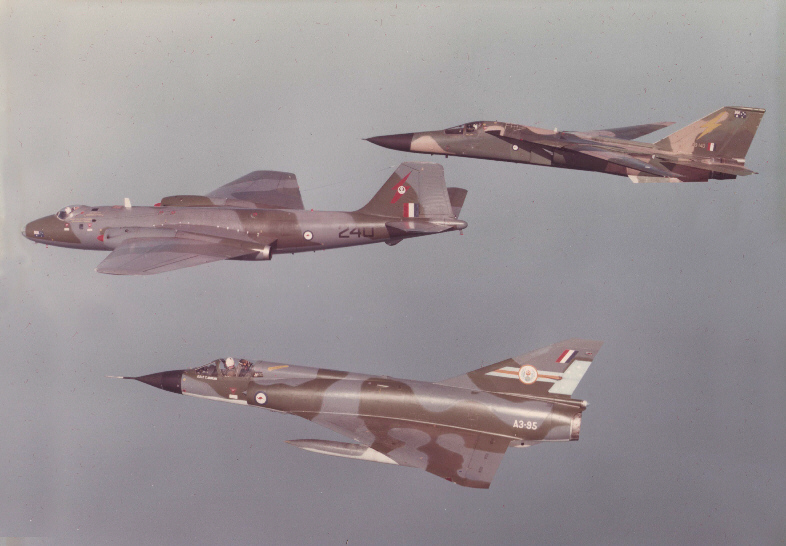 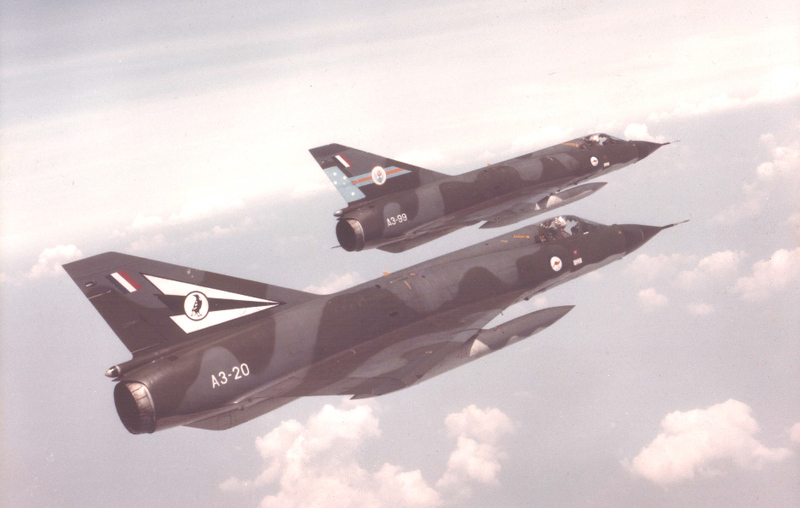 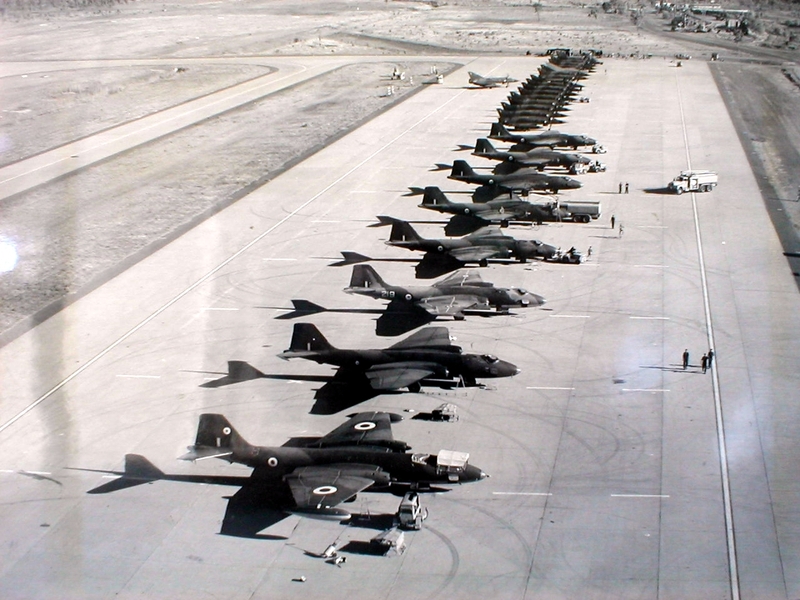 ARDU A3-76 - Photo Supplied by "James"
ARDU A3-2 Photo Supplied by "James"
76 Sqn Williamtown, pre 1974 - Photo Supplied by "James"
3 Sqn Malaysia - Photo Supplied by "James"
77Sqn Mirages on left, Vulcan bomber centre and 76Sqn Mirages on right. 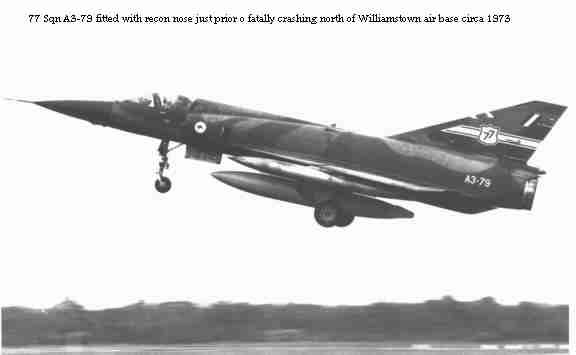 Williamtown 1972. 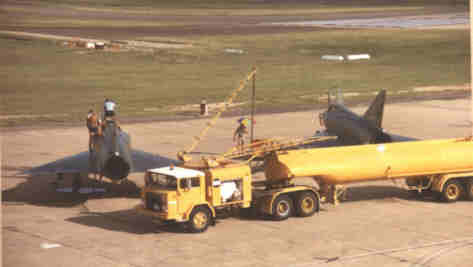 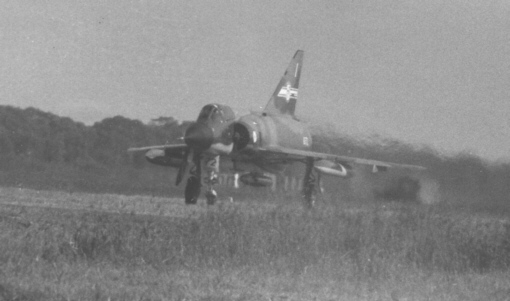 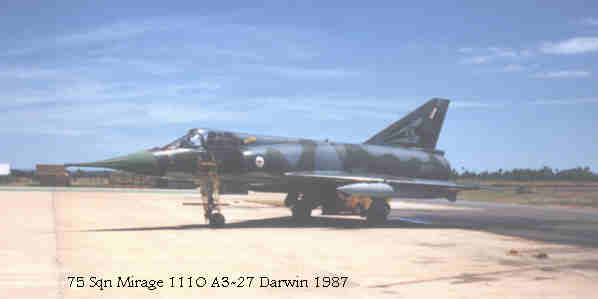 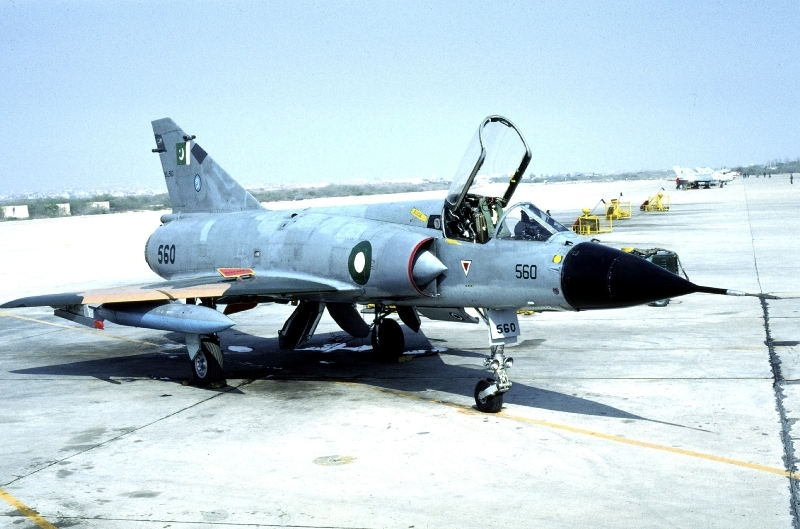 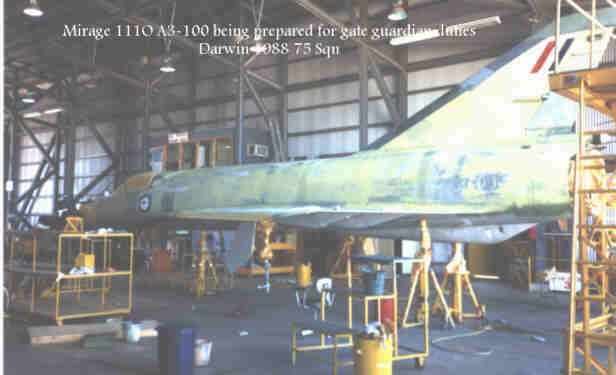 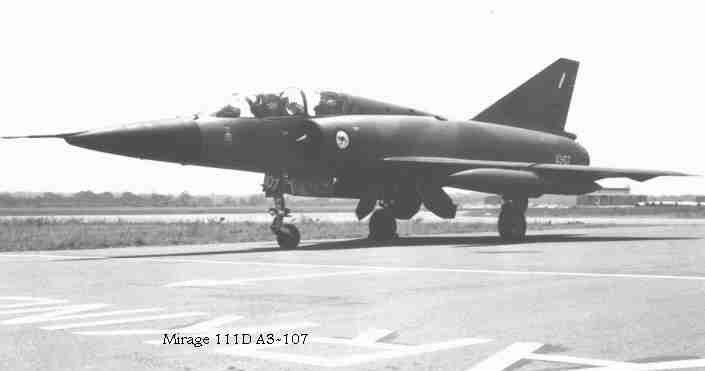 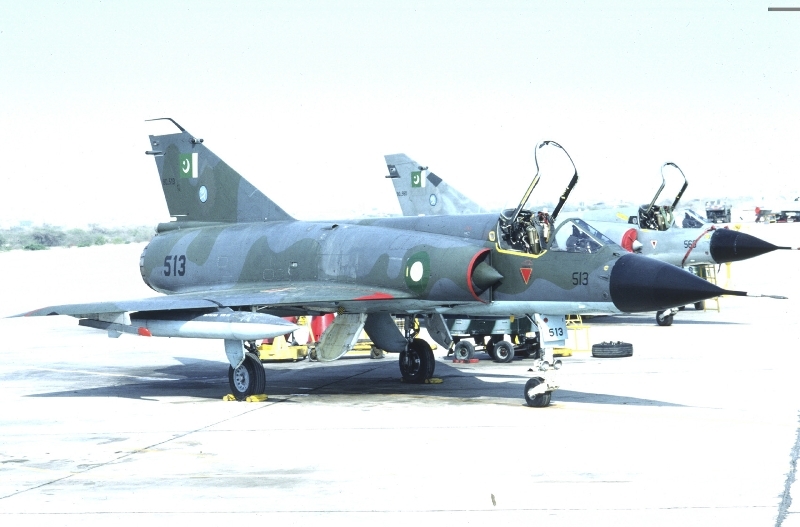 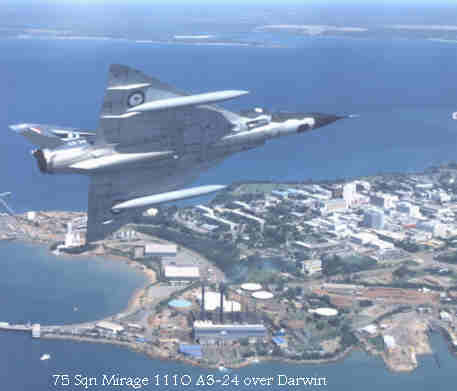 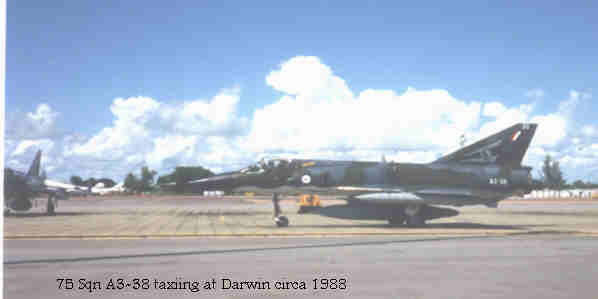 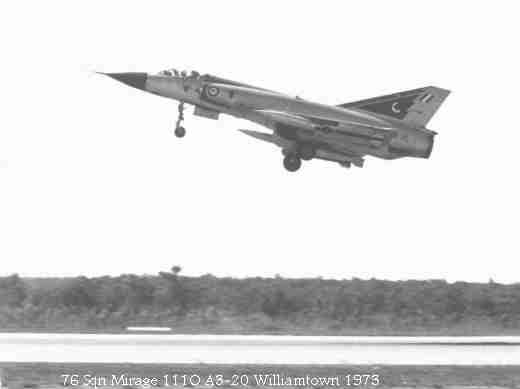 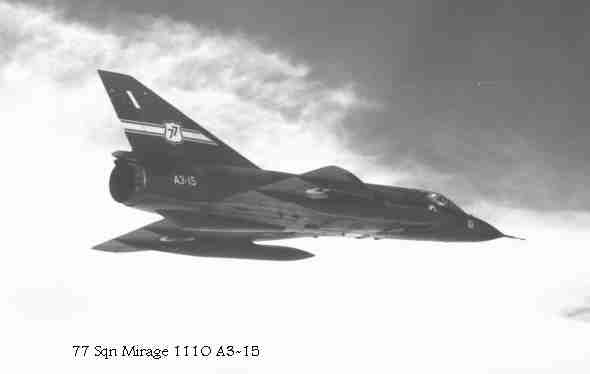 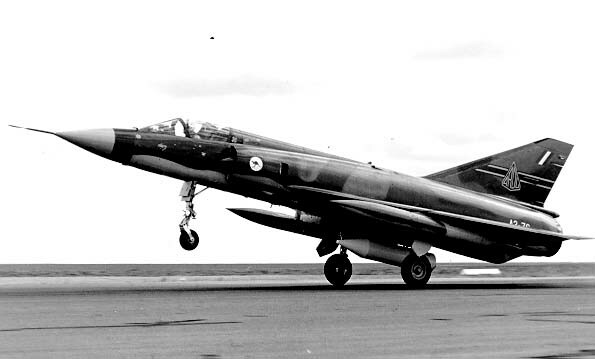 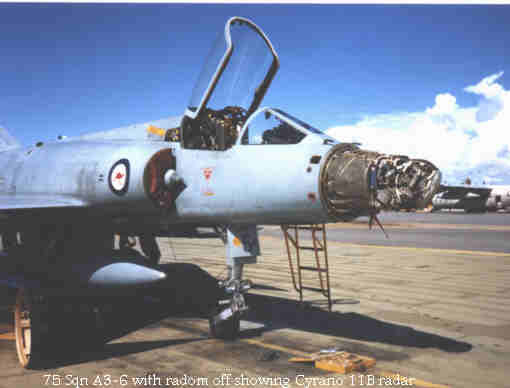 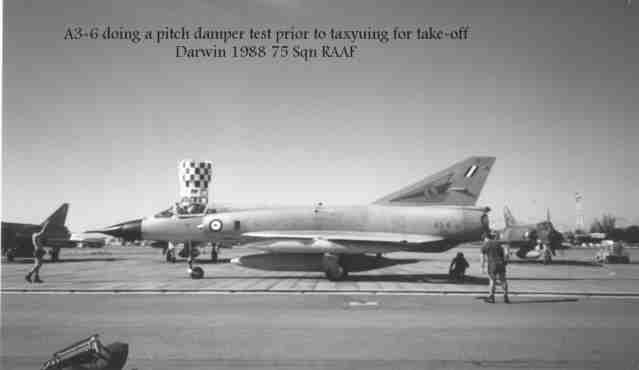 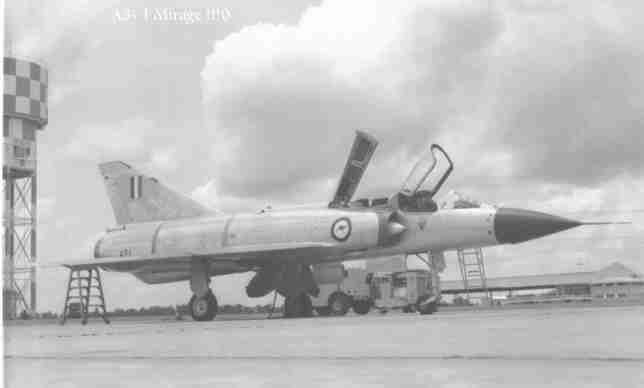 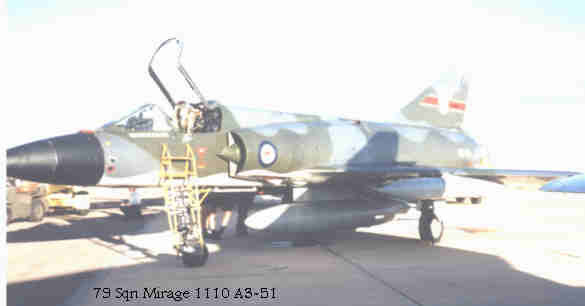 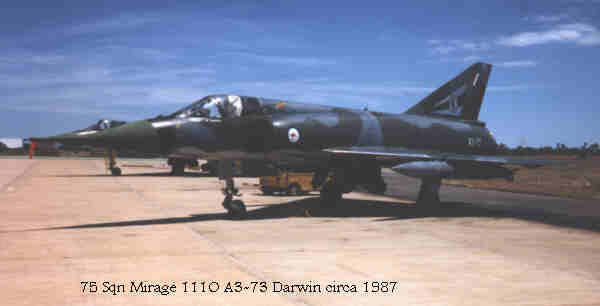 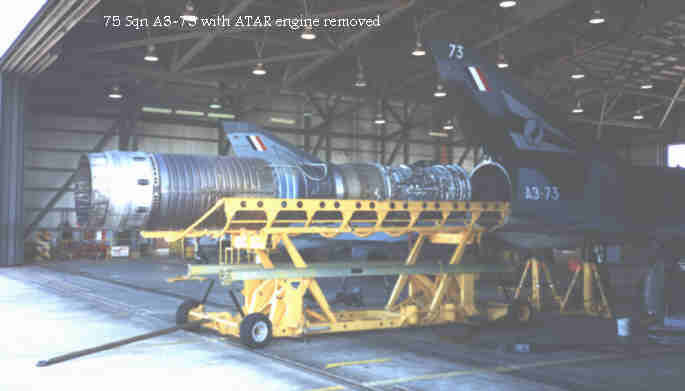 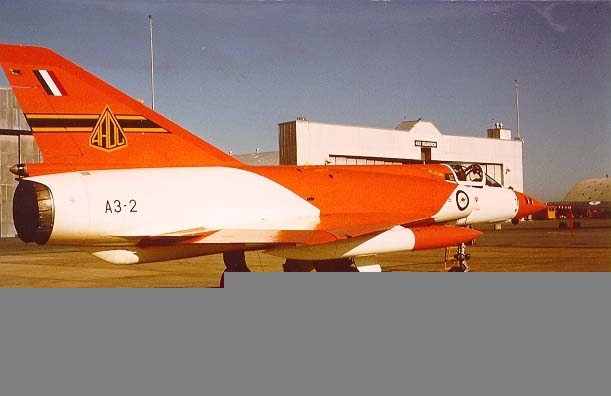 77Sqn Mirage taxiing at Williamtown 1972. 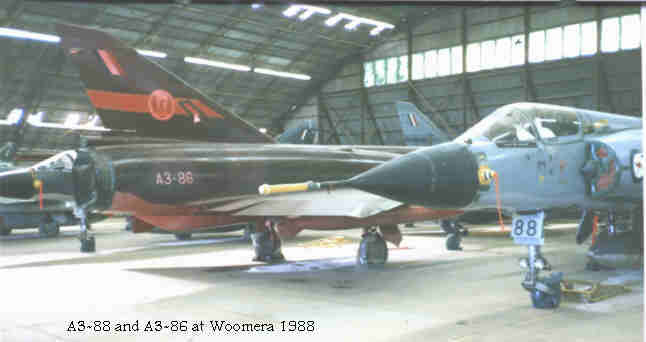 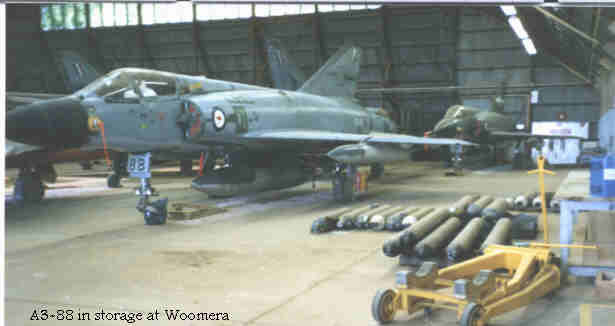 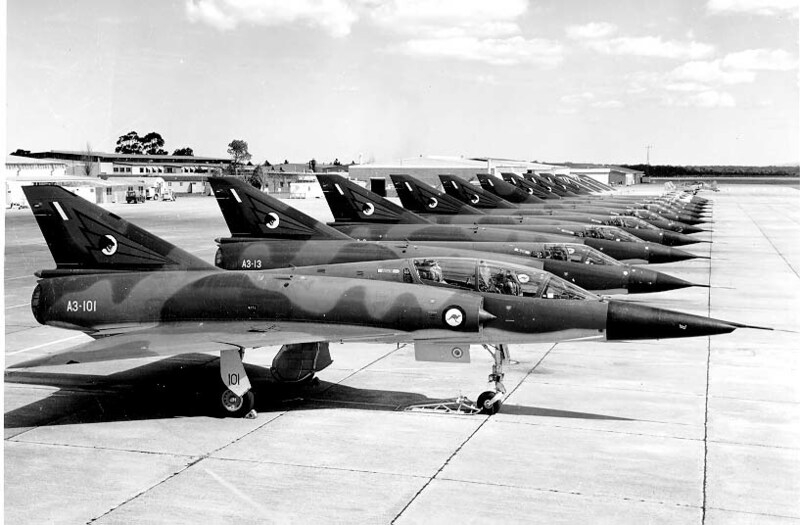 77Sqn Mirage flightline at Williamtown 1972. 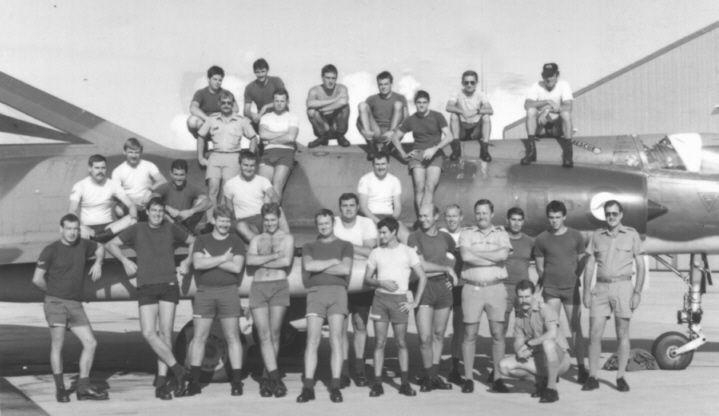 The following three photos were sent in by Max Johnson, an ex-gunny via Peter Munzenberger, an ex-radio tech.